Navigate the General Science 2 course with your student with the help of the easy-to-use Teacher Guide. Survey these science subjects—Archaeology, Geology, Speleology, and Paleontology. Learn with the Wonders of Creation books: The Archaeology Book, The Geology Book, The Fossil Book, and The Cave Book as the texts. Plan and teach with the General Science 2 Teacher Guide. Complete a one-year science course for seventh to twelfth grades. The General Science II Curriculum Package includes one of each of the following books. With the General Science II Teacher Guide and The Archaeology Book, The Geology Book, The Cave Book, and The Fossil Book you can plan and teach a one-year science curriculum for high school. One year science program. Based on the number of hours of coursework, you can give from 1/2 to 1 credit for high school. More information on this is available in the Teacher Guide. The Archaeology Book (Wonders of Creation science curriculum) studies the archeology of Egypt, Hittites, Chaldeans, Assyria, Babylon, Persia, Petra, the Phoenicians, the Dead Sea Scrolls, and Israel. With a biblical view, your homeschool student will learn what an archeologist does, what they find, and why it is important. 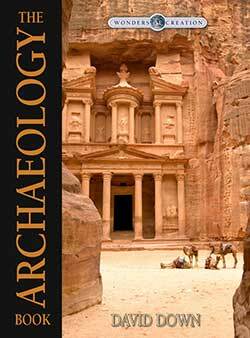 The multi-level Archaeology Book is aimed at three groups: grades 5-6, 7-8, and 9-11. Each level is color coded. Fifth and sixth graders read level 1 information. Homeschool students in grades 7 and 8 study levels one and two. Homeschool high school students study all three levels for the most benefit. Full-color illustrations and pictures, 96 pages. Grades 5-11 with a multi-age design for different grade levels. Whether jutting skyward or languishing in the murky depths of the deep, rocks and sediments hold our little planet together. 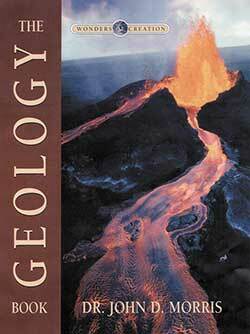 In The Geology Book, creationist author Dr. John Morris takes the reader on a tour of the earth’s crust, pointing out both the natural beauty and the scientific evidence for creation. Profusely illustrated, this book presents an accurate view of earth’s natural history. 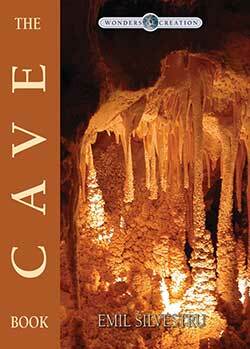 The Cave Book (Wonders of Creation science curriculum) takes you on an educational journey through caves to discover beautiful formations, unique animals, and thriving ecology. Learn about cave formation, history of cave usage, unusual cave animals, caves in mythology, ice cave formation, cave exploration and hazards, and more, all from a creation science perspective. The Fossil Book (Wonders of Creation science curriculum) is the exciting story of fossils: How were they formed? Where are they found? How old are they? How are they extracted? This one-of-a-kind book explains how coal and oil are formed, how the Grand Canyon was created, how to interpret the geologic column from a creationist perspective, and how to identify various fossils. It refutes the horse and whale evolutionary models and explains the four Cs of biblical creation and compares this model with evolution’s model of time, chance, struggle, and death. Filled with scores of full-color photos and illustrations, The Fossil Book explains everything about fossils from a creationist perspective. It also demonstrates the shortcomings of the evolutionary model of fossils. Dr. Gary Parker relies upon not only a thorough education of paleontology but also many years of experience in the field to pen this scholarly work. Here are the scientific answers to the puzzling questions about fossils that even non-scientists can understand.